Work in a warehouse without ladders and work platforms would be impossible. Since warehouses need to efficiently use space, more often than not, items are stacked as high as the ceiling allows to do so. So, when the time comes to retrieve something from the topmost pallet shelves or replace a broken light bulb, that’s when elevated work platforms come to help. 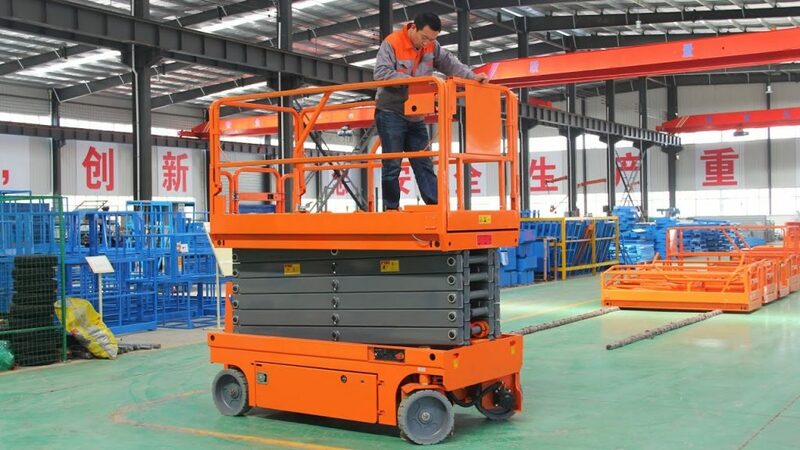 There are many types of work platforms to choose from, like for instance areal work platforms, safety cages attached to forklifts, scaffolding or permanently installed platforms. The kind of work platform you choose depends on the specific task at hand. For instance, if you’re required to replace light bulbs, a forklift with a safety cage is most efficient for the job. On the other hand, if you need to do a paint job, scaffolding offers you more freedom of movement. But whatever type of work platform you go for, it’s important that it offers maximum safety. For that reason, look for a platform that is certified with the Australian Standard for warehouse safety AS 1418.17. Additionally, make sure to check its weight capacity in order to know how many people can use it at the same time. And always make sure to include the weight of any tools or loads that may be present along with the weight of the people. A non-slip mat should be used on the floor of all work platforms. If you’re purchasing a safety cage, it’s important that the gates are designed to open in an inward direction, not outward and that a spring tension latch holds them securely in place. If you’re using a platform designed to be elevated by a vehicle such as a forklift or a scissor lift, it’s imperative that it’s securely attached. Also, it’s very important that the vehicle can hold the total weight of the platform combined with its contents. When workers are raised on the platform, they should use a fitted full body harness that protects them in case of accidental falls. The harness should be certified with the AS/NZ 1891.1 standard. But even if it’s certified for safety, make it your business to inspect the harness before each use. Even if the harness hasn’t been used, it should still be inspected. When working on a vehicle-mounted platform, a trained operator must be in charge of controlling the vehicle. Safety training certificates for forklifts and other vehicles used for lifting can be obtained from OSHA.